Mark A. Markosky, P.E. 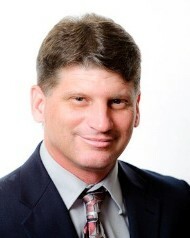 is a Principal and Vice President of The Markosky Engineering Group, Inc., a Civil Engineering, Environmental and Construction Services firm located in Ligonier, PA.
Markosky earned a Bachelor of Science degree in Civil Engineering Technology from the University of Pittsburgh at Johnstown in 1985. After living out of state, Mark and his wife Joyce (a Mechanical Engineer) founded The Markosky Engineering Group in their hometown of Ligonier in 1999. They are proud to provide professional careers to more than 65 professionals in Westmoreland County. Markosky Engineering was voted the Business of the Year in Westmoreland County in 2017.
member of the American Society of Civil Engineers, and the Pennsylvania Society of Professional Engineers. history of the Ligonier Valley. Mark and Joyce have 4 grown children, living in Maryland, Utah, California, and Guam.